Simple responsive launching soon page for ‘Fine Themes’ – a theme startup by Jonathan Belton that aims to provide simple lightweight themes with focus on content and not feature bloat. The way forward for sure. 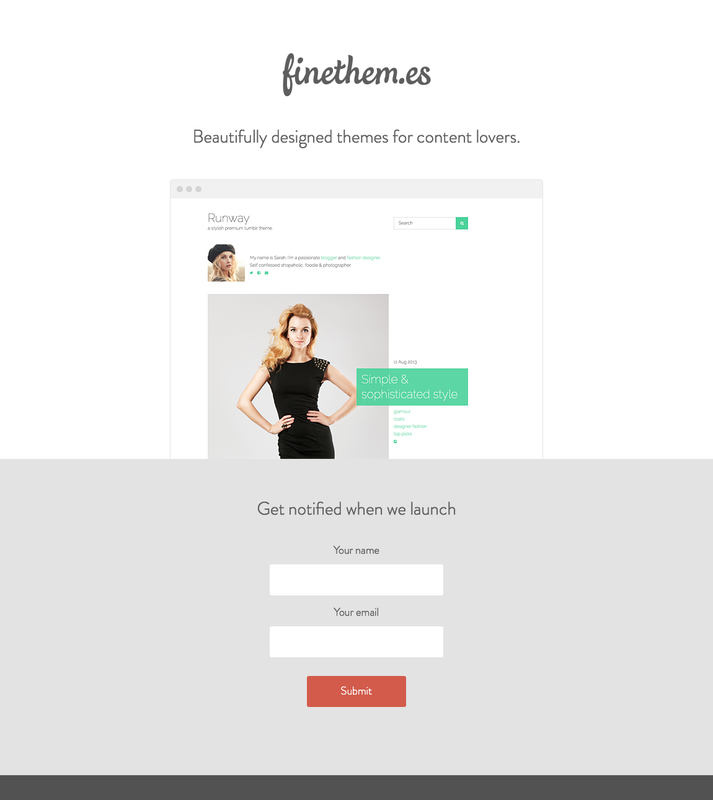 I've been working on a side project recently called Fine Themes – themes where design doesn't get in the way of your content. These themes will NOT have the usual slider effects, endless customisation options or other gimmicks. They will have a balanced simplicity & attention to detail. Launching soon.